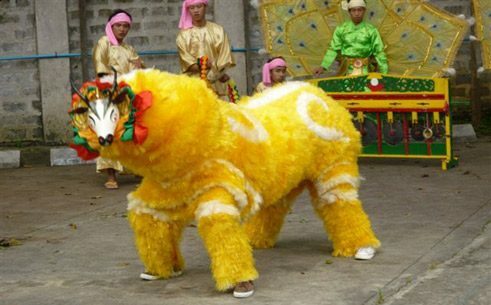 The musicologist Professor Bernhard Wulff, in cooperation with the Goethe-Institut, founded the percussion festivals "Roaring Hooves" in Mongolia and "Cracking Bamboo" in Vietnam. Both festivals bring virtuoso percussionists of the respective countries together with European musicians. 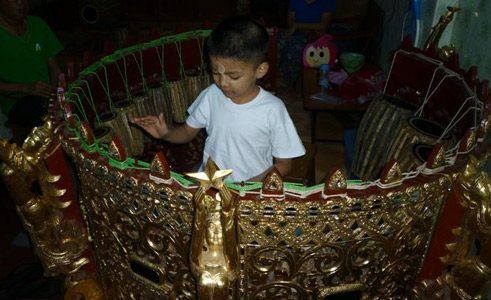 Now Bernhard Wulff has gone in search of traditional instruments in Myanmar. He visited music teachers and Hsaing Waing orchestras, theatre companies and a gong foundry. On goethe.de/myanmar he reports on exciting days full of sounds. 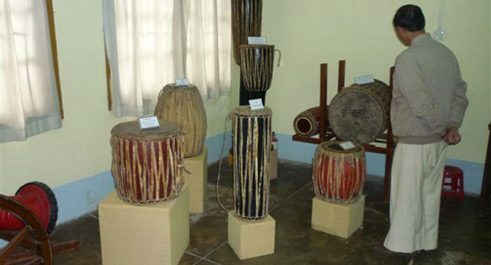 “Percussion instruments play a crucial role in Myanmar, and the various parts of the country are musically very different. The mutual respect for each other's music is immense. This is the perfect prerequisite for gathering together instrumentalists from different parts of the country, each with their own musical orientation, and then inviting guests from Europe. There is one thing, however, that is completely different from the other countries where I have been: here there is no functioning infrastructure. There is no school, no music academy ... everything is organised privately or semi-privately. On my short trip I have met highly interesting musicians, people who strongly regret the lack of creative impulse in this country. Traditional Drums | Photo: Bernhard Wulff But the numerous individual impressions have put an infinite number of ideas into my head, from which I now want to construct a concept for a percussion format, similar to Cracking Bamboo but tailored to Myanmar and its unique musical characteristics. During a visit to a puppet theatre in Mandalay, for example, I found the oboe fascinating, with a sound that could almost cut glass. Like biting into a lemon. And in Hpa-an, I met a teacher at the local Literature and Culture Association. He played on gigantic metal drums that looked terrifyingly loud. But he was able to play very gently on them, very softly. In Taunggyi I visited the Shan Cultural Centre, which is under the direction of Philipp Sao Tao. Music is strongly promoted here, but the initiative is dependant on donations. It’s like a small university, 40 students doing very good work. These students of traditional Shan music played a spontaneous concert for me in the courtyard. I was impressed by the opulent costumes and the professionalism of the musicians. Shan Culture Center | Photo: Bernhard Wulff But an old harpist from Mandalay was particularly captivating. On her shoulders rests a part of the tradition of the country. Daw Khin May is in her late 70s and teaches privately. She gave me copies of old manuscripts, including compositions by her deceased husband. She has – and this is sensational – written all in Western musical notation. Daw Khin May works with the old tonal system. This is has been largely extinct in Myanmar for 37 years. Everything was adapted to Western musical notation, because there was a desire to play together with Western instruments as well. The gong circles and drum circles were thus tuned like a piano. This is, on the one hand, a gain, but on the other hand a loss, because the rich colour of traditional micro-tonality disappears. And everything sounds a bit like C major. Daw Khin May teaches her students according to the old tonality. Perhaps harp playing has an even older tradition than the gong circle. A Gong Circle Student | Photo: Bernhard Wulff To see how such gong circles are made, I visited a gong foundry in Mandalay. I had to be there at three in the morning. Here they work at night, because otherwise it is much too hot. The metal is melted between two AM and five AM and the really big gongs can only be cast in the winter. Everything was black as a witch's kitchen in the foundry. The metal is melted using a giant bellows that keeps the charcoal glowing. The molten metal is then poured into a mold. Once it has cooled slightly, men with hammers work the metal, beating the roughly inch-thick piece until it is very thin. Making three gongs at a time with this process takes eight hours. Do you have any questions? Please write us!